All projects installed by Enlightened Designs, Inc. are unique to client desires and are designed to create a warm and inviting atmosphere for your home. 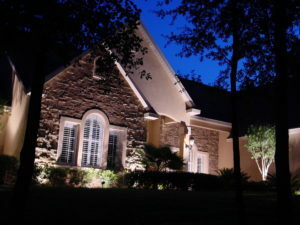 Landscape Lighting is not just an add-on to our primary business and we pride ourselves on being individually focused on each and every client project. We are fully licensed as a Certified Specialty Electrical Contractor in the State of Florida (ES12000791).